"Is this to remind yourself that you have to go home early? ", my teammate asked me pointing to the wallpaper on my desktop. I have set a cute picture of Pihu as my wallpaper. In a team of around 20 people, only I have the unique role of being an IT mother. In fact, we are just 2 mothers in our Indian Department. There are many fathers, though. The other day I told Mr. H that while I am at office doing work I often think about Pihu. I often wonder whether she's sleeping now or playing, whether she has done her breakfast or lunch, or whether she's missing me. Though I know she's with the best people in the world still sometimes it gives me guilt of leaving her for so many hours in her toddling years. I asked him if he gets the same thoughts. Mr. H responded saying 'No'. He went ahead advising me to concentrate on work and not to worry about her during office hours. It is not that he's not as concerned for Pihu as me. He cares for her a lot and is the best father any kid can have. If he comes to know while in office that she needs him he'll rush back to her in no time. Hence, I realized fathers and mothers have different sort of association with babies. Both care for their children but with different tendency. I can describe it for mothers, being one. The 9 months of carrying someone in womb definitely leaves deeper connection. I explained Mr. H that though I do concentrate on work but it is next to impossible for me to forget about her. She is always there in my thoughts no matter how busy I am. Being the only mother in my team, my mind works differently than others. So there is this constant juggle. I feel like saving time wherever I can so that I can finish my days task and rush back to be with her. I value my time more than others because it is very precious. But I cannot go ahead every time telling hey, let’s finish our tasks in 9 hours, let’s be efficient and not waste time during team meetings, or sessions as I have a daughter. People understand when I tell them if I have some urgency. But not every day! "No, this is not to remind myself", I told my colleague. "This picture is to remind people around me that I have a bigger duty to fulfill apart from the work here - to be with her in time". You said it right Roohi that "fathers and mothers have different sort of association with babies. Both care for their children but with different tendency.". It is not actually the tendency but what I feel is that mothers are too much emotionally attached with their kids, while fathers also has this emotional touch, but then they don't express it much. You already know that my daughter is also having the same name Pihu and it is also not true that I don't think about her during my working hours. But then all these thinking remain inside me only. Exactly Shweta.. On a hindsight, I noted there is nothing like working or non-working woman. 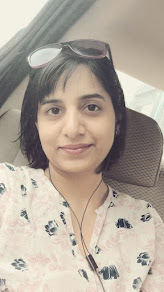 Every woman is working just the world around her changes :) Thanks for liking my post..
Yup there's lot where we connect :) My Chronicles are just a reflection of experiences we all share.. I think most people in IT fail to realize that Time is very precious. I have a tendency to work within the stipulated 9hrs but often people have misunderstood my prompt and efficient 10 to 7 working as lesser dedication to work. Only if you come on time and leave late means you are working well! It doesn't matter if in between you waste time on multiple coffee breaks, Carrom breaks, post lunch walks etc. Strange is our IT world!